I thought we would spend today teasing ourselves with some summer shoes. 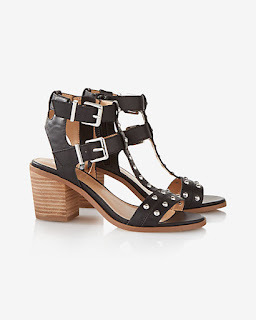 The stacked heel is back and better than ever, and when it comes to sandals I like to make it a little less feminine and add some studs. 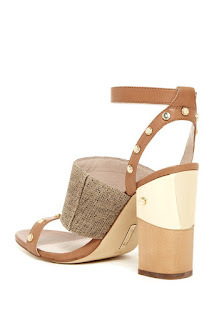 These heels are to die for with shorts, a sundress, or jeans. Edgy glam never looked so comfortable. This shoe has so much personality. I love the ankle strap. Yes it's pricey, but look at that color. Studs do not have to mean motorcycle. Pull them off with a lovely sandal that you can wear without just about anything.